The PSMC1 antibody from Proteintech is a rabbit polyclonal antibody to a recombinant protein of human PSMC1. This antibody recognizes human,mouse,rat antigen. 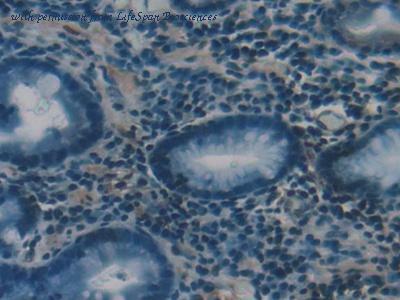 The PSMC1 antibody has been validated for the following applications: ELISA, WB analysis. 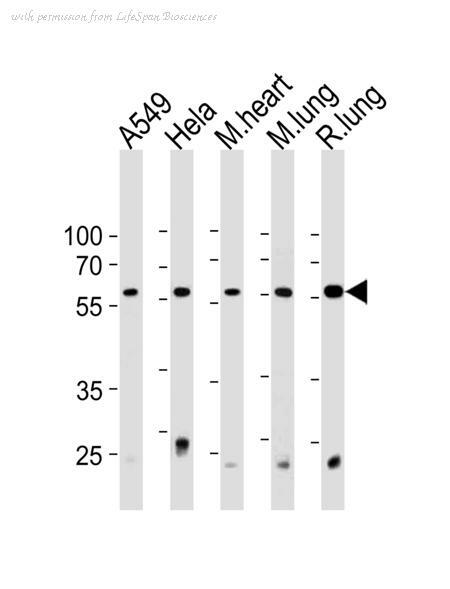 Figure: Western blot showing detection of Rpt2/S4 19S regulatory subunit. Lane 1: Purified 26S proteasome (Prod. No. BML-PW9310, 1µg). Lane 2: HeLa S100 cytosolic fraction (Prod. No. BML-SW8750, 10µg). PAb to Proteasome 19S (Rpt2/S4 Subunit) (human) (Prod. No. BML-PW0530) at 1:1'000 dilution. 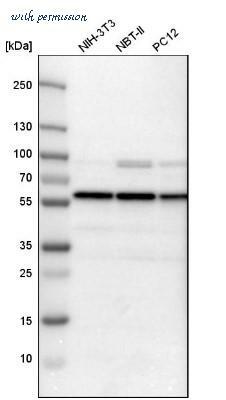 Western Blot: PSMC1 Antibody [NBP1-80959] - Analysis in human cell line EFO-21. 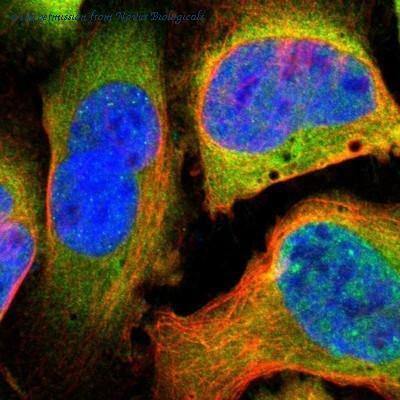 Immunocytochemistry/Immunofluorescence: PSMC1 Antibody [NBP1-80959] - Staining of human cell line U-2 OS shows positivity in nucleus but not nucleoli & cytoplasm. 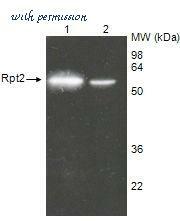 Western Blot; Sample: Recombinant PSMC1, Human. PRS4 Antibody western blot of A549,HeLa cell line and mouse heart and lung,rat lung tissue lysates (35 ug/lane). 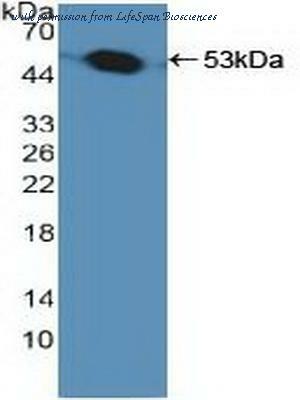 The PRS4 antibody detected the PRS4 protein (arrow). 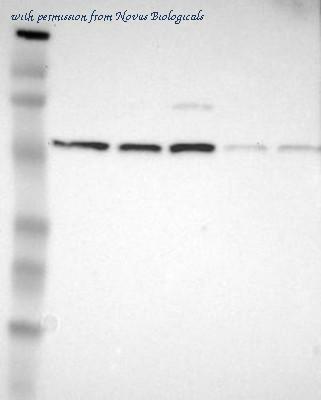 Western blot of Rpt2/S4 19S regulatory subunit. Lane 1: Purified 26S proteasome. Lane 2: HeLa S100 cytosolic fraction . PAb to Proteasome 19S (Rpt2/S4 Subunit) (human) at 1:1000 dilution.